Back in 1973, Lemi Ghariokwu was straight out of secondary school, spending his ample free time giving himself drawing assignments and making portraits for people in his neighborhood. Martial arts action film “Enter the Dragon,” starring Bruce Lee, was a big hit at the time, and Ghariokwu was asked by a local bar owner to draw a poster of the movie for his pub. The self-taught designer did so, and a few days later a journalist called Babatunde Harrison entered the parlor, saw the poster hanging on the wall and quickly asked to see the person who’d created it. When he met Ghariokwu, who was living next door with his parents, Harrison requested to see more of his drawings. 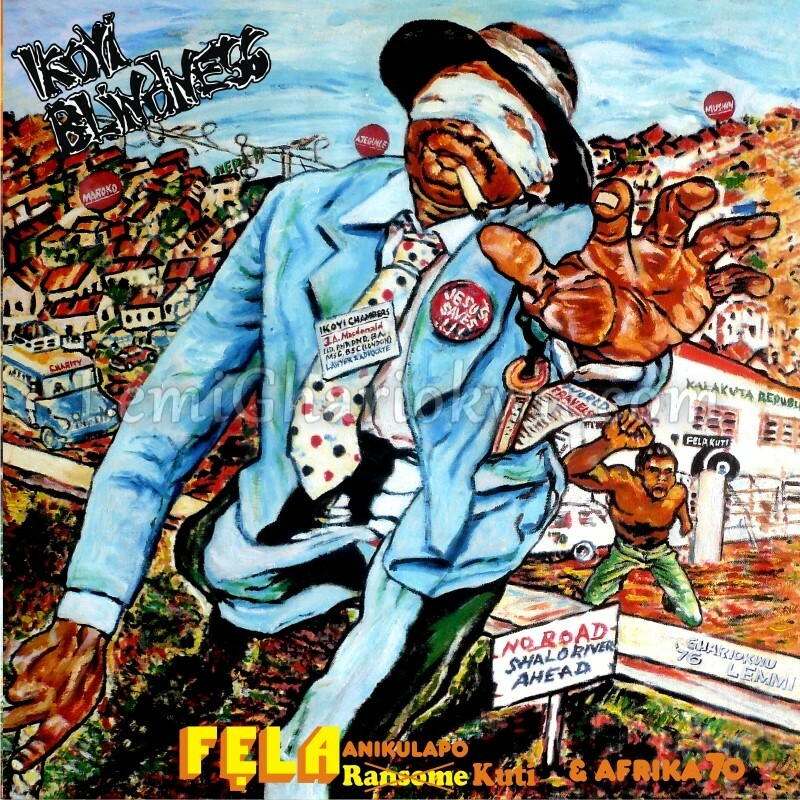 Amongst them was an illustration of Nigerian afrobeat pioneer Fela Kuti dancing on mud — Ghariokwu had previously bought an album by Kuti called “Roforofo Fight” (roforofo means mud in Yoruba) and had given himself the task of creating his own version of the album cover.